Accessibility Details: This screen is not accessible to wheelchairs. There are 6 steps inside the entrance to the screen leading from one set of double doors to another. Seating is arranged as two blocks with a center aisle. The rear 4 rows have single steps between each row, whilst the rows towards the front are on a gentle slope towards the screen. The fire escape is at the front of the auditorium, up 2 steps. Accessibility Details: This screen is not accessible to wheelchairs. There are 12 steps inside the entrance to the screen leading from a set of double doors. Seating is arranged as two blocks with a center aisle. All rows towards are on a gentle slope towards the screen. The fire escape is at the front of the auditorium, down 12 steps. Accessibility Details: This screen is not accessible to wheelchairs. There are 12 steps inside the entrance to the screen leading from twin sets of double doors. Seating is arranged as two blocks with a center aisle. The rear 4 rows are separated from the front section by a single step, whilst the rows towards the front are on a gentle slope towards the screen. The fire escape is at the front of the auditorium, down 12 steps. Infra-red Hearing Assist in Screens 2 and 3 Audio Description available in Screens 2 and 3 Regular subtitled shows, usually on Tuesdays. This cinema is unfortunately not accessible to wheelchair users. 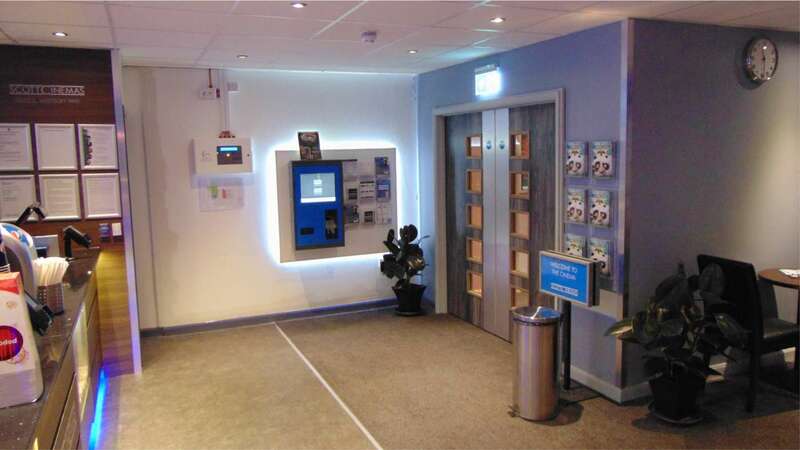 There are 30 steps from the street into the cinema, and all facilities are located at the top of the main staircase. The toilets can be found adjacent to the foyer, closest to the entrance to Screen 2. There is an ambulant toilet with baby change facilities, and each set of toilets has ambulant grab rails fitted in at least one cubicle. Parking: The cinema does not have its own car park. During the day, numerous on-street parking is available close by. After 7pm, cinema customers may park in the adjacent Waitrose car park free of charge - please be aware that parking in the Waitrose car park before 7pm may incur a penalty charge. 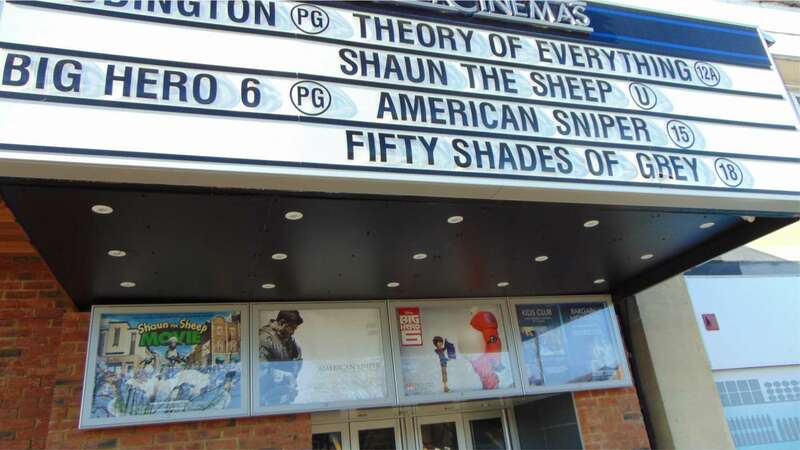 By Bus: The cinema is on First Bristol route 2 to Cribbs Causeway from the Center. There is a bus stop directly outside of the cinema in the direction of Cribbs Causeway, and a stop just around the corner for services to the Center. Busses stop here every 10 minutes during the day, and every 30 minutes until 11.00pm. First Bristol now operate late night busses on Route 1, a stop for which can be found 5 minutes from the cinema. By Train: The closest railway stations are Clifton Down and Redland, both are on the Severn Beach Line and connect to Bristol Temple Meads. Both are a 20 minute walk, and First Bristol bus Service 2 stops at the cinema and Clifton Down. Bristol Temple Meads is serviced by GWR & Crosscountry. Taxi ranks are available at the front of the station. By Air: Bristol International Airport is located in North Somerset, and a bus link operates from Bristol Temple Meads railway station. For recorded information please telephone 0300 124 0275. Calls to this number are charged at local call rates. To contact the cinema directly, please telephone 01179 625 852, after 2.00pm at weekends, and after 5pm on weekdays. Staff are unavailable to take telephone calls before this time. This cinema is part of a Waitrose development that was carried out in the late 1960s and is built on the site of the original Orpheus Cinema. This was a very pleasant, typical 1930s suburban cinema with around 1,500 seats. Pictures are on display on the main entrance stairs. It was fitted out and operated for many years by Star Cinemas, a National company who were well known for the creation of small, multi-screen cinemas all designed in what was then the latest style, with much use of purples, illuminated stair banisters & pyschedelic screen lighting. Ownership passed from Star to Cannon, to MGM to ABC, then to a Mr Peter Walker until he assigned the lease to Reeltime Cinemas. They continued to operate it until February 2009 when it was acquired by Scott Cinemas. Some refurbishment was carried out in May 2009 to improve the retail and other areas but care was taken to retain its better late 60s features which some 40 years on give it a particular appeal. In 2012, a thorough complete refurbishment commenced of the auditoria and front of house areas. New ceilings and soundproofing were installed to help with heat loss and accoustics. All auditoria lighting was updated, and air conditioning was fitted. A new, larger screen was added to Screen 1, as well as a general tidy up of the main entrance and stair way. In 2016, we completely refurbished the toilets and foyer, by expanding into redundant staff areas. 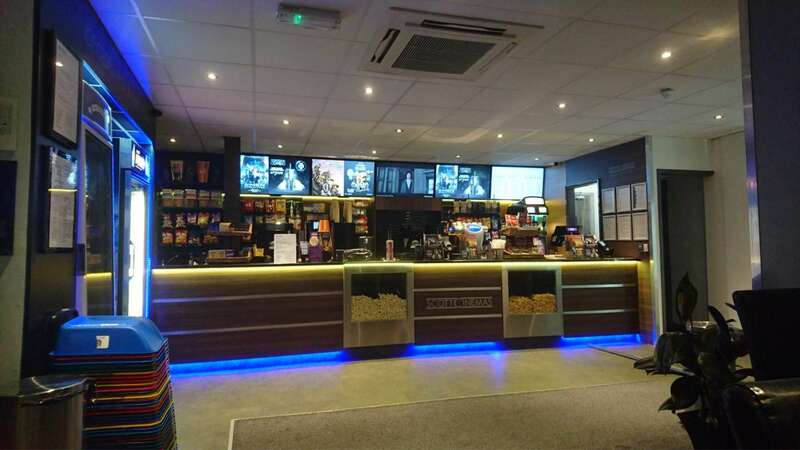 This is a pleasant neighbourhood cinema in an affluent part of the city which has a very loyal audience and is also enthusiastically supported by the many students in the area... a little gem that still shines!